Non-restrictive cuff: non-restrictive cuff allows for optimum circulation of blood throughout the feet and provide optimum protection for the neuropathic feet. 2. Made of 100% ribbed cotton: do not contain tight irritating elastic fibers. 3: Single layer sock designed with 2mm gel throughout sole: features a unique proprietary gel insole provides added support, cushioning, protection, shock absorption & comfort while fluid-like nature of the gel helps reducing friction, abrasion, shear forces & callus formation. 4: Seamless stitch design: a seamless toe design eliminates abrasion & pressure on the toes and stretchable design do not wrinkle and cause discomfort. 5: Antimicrobial: fabric covered with antibacterial to check infection reduces odor and reduce chances of bacterial infection. 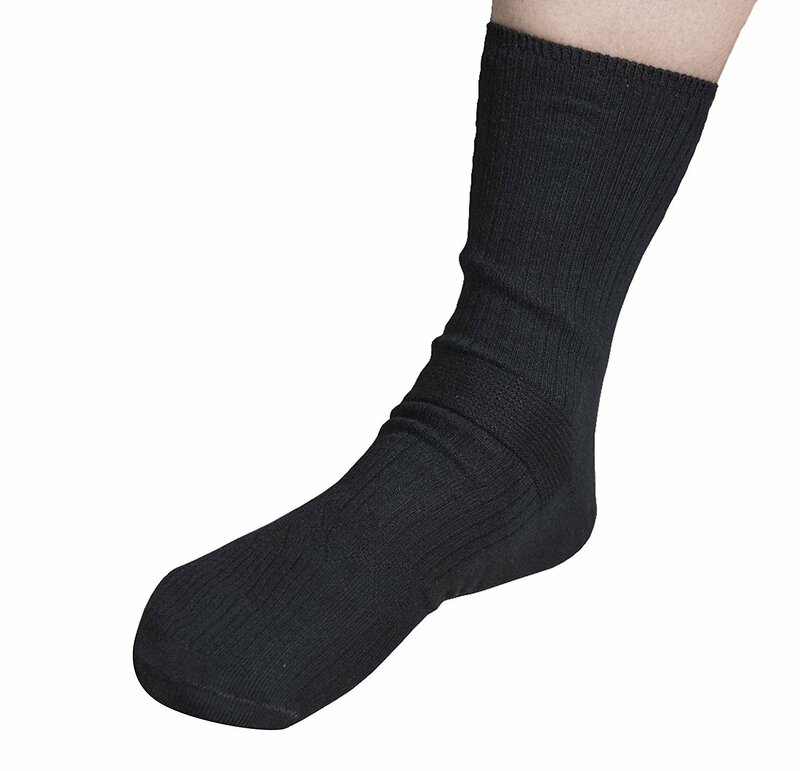 6: Breathable socks: airflow channel reduce heat, moisture, irritation. 7: Can be used with or without diabetic shoes 8: comfortable to wear. 9: This is a precautionary product.